Adults in Estonia top a list of countries where people spend the most time reading. Most households in the European Union spend more on books, newspapers and stationery than they do on package holidays. This was one of the surprising statistics released by the EU in April to mark World Book Day. 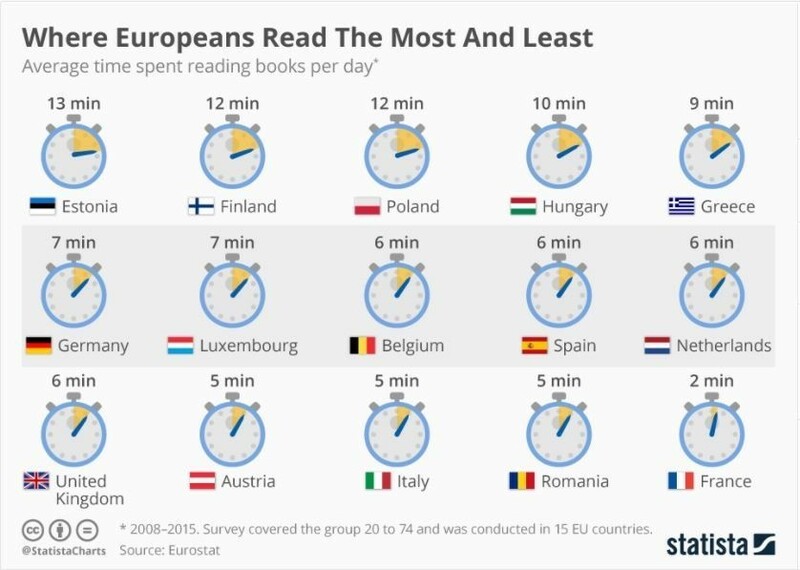 A survey of people aged from 20 to 74 in 15 EU countries between 2008 to 2015 found that the average time spent reading books ranges from two minutes a day in France to 13 minutes in Estonia. 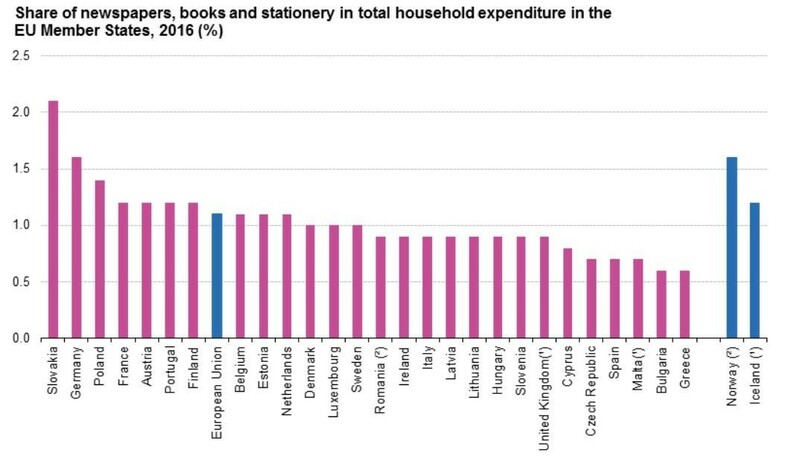 In 2016, households in the EU spent over €90 billion ($107 billion) or 1.1% of their total expenditure on books, newspapers and stationery, which is equal to 0.6% of the EU’s GDP, or about €200 ($240) per citizen. Despite this, households spending on these items was less than half that for recreational and cultural services, the EU’s statistics agency, Eurostat, said. People in Slovakia spent the most on books, newspapers and stationery (2.1% of household income), followed by those in Germany (1.6%) and Poland (1.4%). More women read books than men in all the surveyed countries, but men who read do so for longer periods than their female counterparts.